My Cup, from The Dinner Party Project, 2013-ongoing. 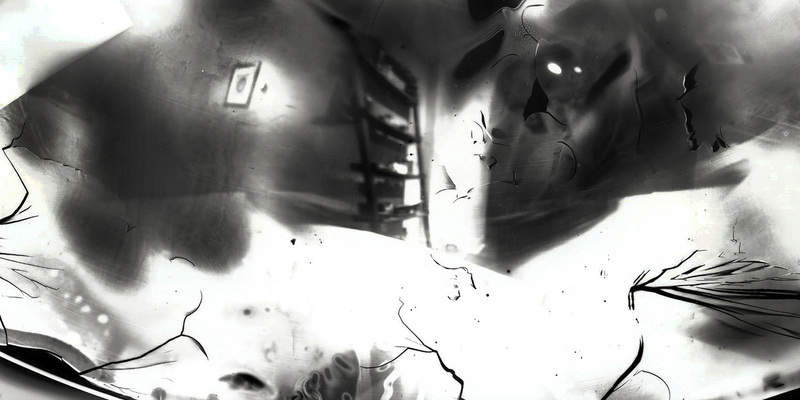 Digital image from contact print of “glass cup negative”. Prior to having a few friends, and fellow glass makers, over for dinner I ask the attendees to provide me with a glass cup that they have made. The design and construction of the cups of others is independent from me. I hand blow a cup as well. Each cup is then coated with a liquid photographic emulsion and placed in a pinhole camera which I construct with four equally spaced holes around the camera giving the camera a 360 degree view. Each camera is placed within each makers/attendees place setting on the table. When we sit for our meal together all of the shutters on the cup cameras are opened, and are covered back up upon completion of the meal. The room also contains pinhole cameras which are set around and throughout the space and exposed at different intervals throughout the meal. All other information leading up to the meal and throughout is documented and collected. 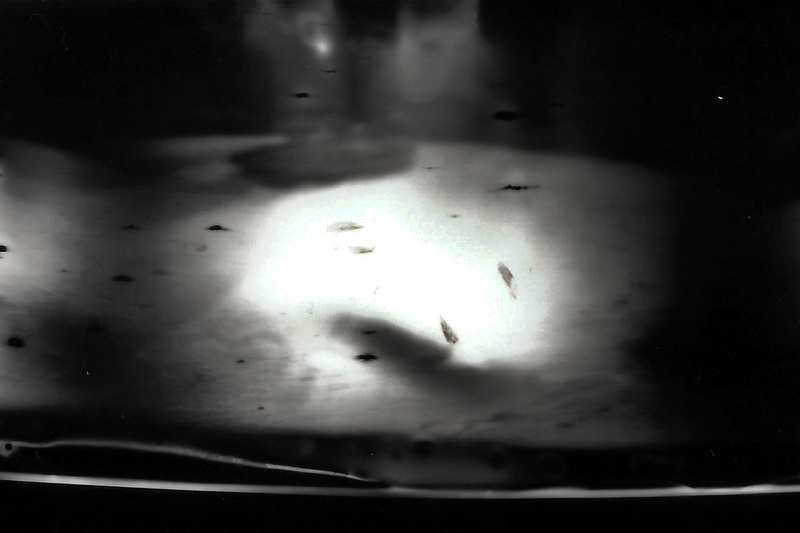 This image was contact printed in the darkroom from a “glass cup negative”, scanned and digitally printed.